For Gasoline applications use JEGS 555-15912 regulator. (Note: Regulator has 3/8" NPT ports). For Alcohol applications use Holley 510-12-704 regulator. (Note: Regulator has 1/2" NPT ports). For Alcohol or Methanol applications use Holley 510-12-707 regulator. (Note: Regulator has -08AN inlet and -06AN outlet ports. Fittings Included). Click Here for help on Fuel Pump Sizing! 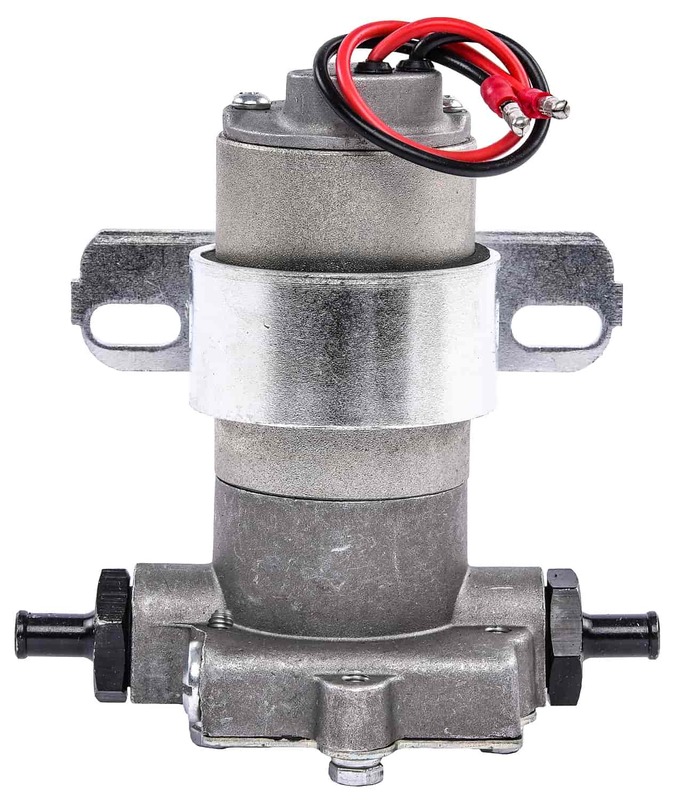 To suit most every need, JEGS Street/Performance/Race Fuel Pumps use a rotary vane design for proven reliability, consistency, and longevity. 15915 - JEGS Street/Performance/Race Electric Fuel Pumps is rated 4.5 out of 5 by 11. Rated 5 out of 5 by Varooom from Great Experience! Online ordering was great. Customer service verified the additional shipping address i sent. Product was delivered on time in good condition. Great experience all around. Will buy from them again!! Rated 5 out of 5 by Burgess Motorsports from Great service! Over the years I've spent most of my income on y'all and I've never been let down or happier! Rated 5 out of 5 by The V from Simple and effective This pump works just fine feeding a 1050 carb on my small block 10.50 et car .with fuel to spare .i do recommend a return style regulator to save the pump from over heating and to prevent vapor lock . Rated 5 out of 5 by jrsnedd from Dyno usage I bought this to go on the dyno using gas and E85 . Works great with no problems. Rated 5 out of 5 by Mr Kid Racing from Great budget pump. This pump replaced my 25 year old Holly Blue Pump on a 10.90 Malibu. No regrets, no issues and it flows more than the Holley. I'm winning! Rated 4 out of 5 by Coolkart49 from Great Pump! Only reason I'm giving it four stars is because the pump is very loud. It's way cheaper than a holley red pump and I can't hear the pump once the car is on anyways but it could get annoying on a street driven car. No, this pump is not made for diesel fuel. No, you need an EFI style pump. This is made for a carburetor. does this have a warranty? had it on my car little over a month it sounded great now u turn on it sounds like its struggling work bogs down bad. These are warranted for 1 year from date of purchase. can this pump be mounted upside down? JEGS 15170 - Comp Fuel Filter Height: 5.5"
JEGS 15172 - Street Fuel Filter Height: 5.25"